Click here to access Write magazine online! Write is the Union's quarterly magazine available exclusively to our members. This magazine is valued most for its presentation of news and views from a writer's perspective. It is filled with professional information, developments in the literary community, industry news, timely features, and valuable industry services. If you do not follow the guidelines below, your pitch or unsolicited submission may go unread. Submissions are accepted from members and non-members alike. A brief description of the article that you want to write for potential publication in Write. A brief description of the unsolicited article already written in full that you are attaching for consideration for Write. Attachments: Word docs (.docx or .doc) are preferred, but RTFs are acceptable. Rationale: Why you think your article is timely and relevant to Write’s readership, and why you think you have a great perspective to offer. Please note: The above information is not required when submitting Fiction/Poetry or items for Member News & Awards. Write contributors will be paid, with fees to be negotiated upon acceptance. Write welcomes letters to the editor. Respectful, thoughtful, and cogent letters in direct response to the most recent issue will be considered for publication in the next issue. Send your letter (150–300 words) and a short bio (max. 50 words) to Write Editor Rhonda Kronyk at write@writersunion.ca. Write reserves the right to edit letters to the editor for length, clarity, and accuracy. You will be notified if your letter is selected for publication. 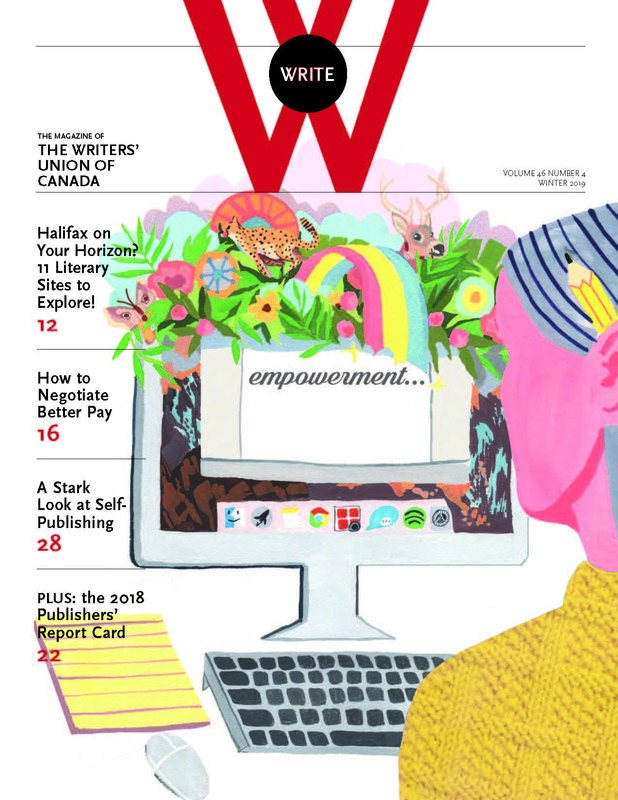 Send your pitch, submission, or Letter to the Editor to Write Editor Rhonda Kronyk at write@writersunion.ca. Write is distributed to more than 2,000 professional book authors across the country. It's a specialized publication, which is good news for advertisers: Your message reaches a highly engaged readership. Place your ad today to reach this exclusive group of writers and industry insiders! To reserve space, please contact Gaeby Abrahams at ads@writersunion.ca.